Soewarta Kosen is a health policy researcher and a member of the Scientific Research Commission, Indonesia. Overweight and obesity are on the rise in Indonesia. The results of the Basic Health Survey, a national, community-based survey that measures body mass index (BMI), for 2007, 2010, and 2013 show the rising prevalence of overweight and obesity in Indonesia. 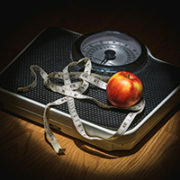 Several combining factors increase overweight and obesity. These include the consumption of energy-dense food, the intensive advertisement of unhealthy food, and the consumption of unhealthy school meals.